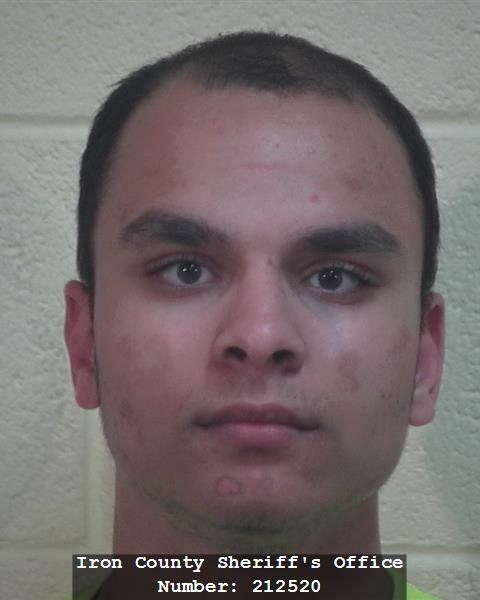 CEDAR CITY – A Cedar City man was recently arrested after he allegedly admitted to fondling three young children. John Benjamin Gehrich, 18, was arrested Friday for three counts of forcible sexual abuse of a child, all second-degree felonies. According to the charging documents filed in 5th District Court Monday, Cedar City Police brought Gehrich to the station after interviewing the three siblings, ages 3, 5 and 8, at the Iron County Children’s Justice Center. During the separate interviews with the minors, police learned that the suspect had visited the victims’ home the day before. The alleged abuse occurred at that time. Gehrich, who waived his Miranda rights, initially lied to authorities but later changed his story and admitted to the abuse, court documents state. “John described it as being an impulsive act that was committed in the living room of the home when he was left alone in the room with the children,” Cedar City Detective Dustin Orton stated in the police report. The suspect was arrested following the interview and booked into the Iron County Correctional Facility on a $20,000 bail bond. He has since been released from custody. There are currently no court hearings scheduled in the near future.